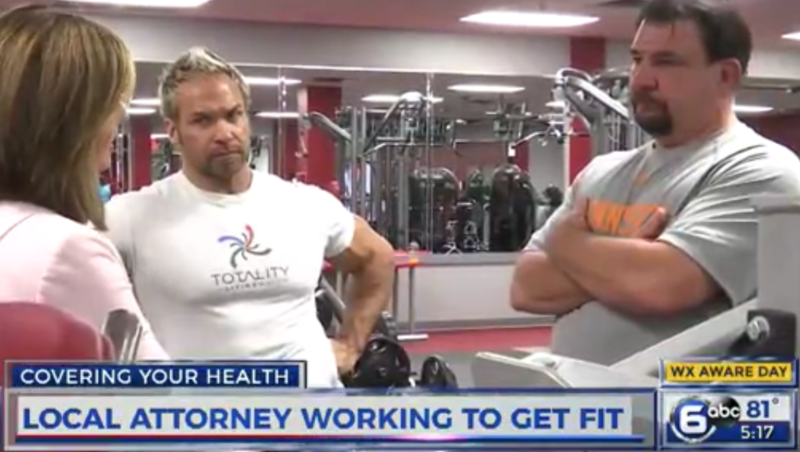 Trainer Scott Williams was on WATE chronicling day 1 of a 6 month journey with attorney Keith Stewart. Stewart is ready to make a change, and it all begins with that first day! Ball Push Up – works arms and abs. Crunches – core workout. Slowly to concentrate on form. Start weights at side is squat position. Stand up and curling weights up to chest. Lower weights in a controlled fashion to starting position. Do sets of 10-15 reps.
Full story by Lori Tucker at WATE.